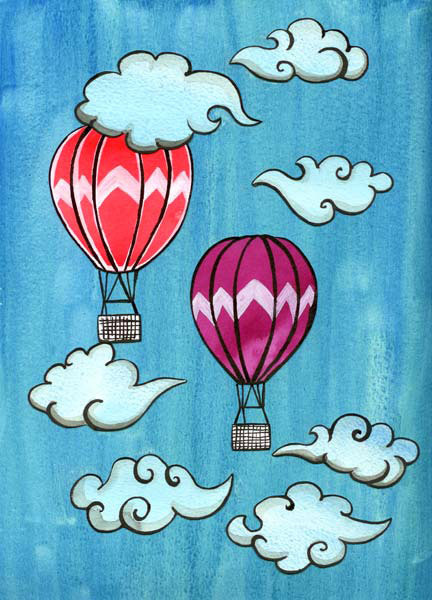 Art print of Hot Air Balloons from one of my original watercolor and ink illustrations. please pay at time of purchase. I will ship items after I have recieved payment. Kind regards, Anna Lloyd.